To find out more about our experts in each area simply click on the subjects you are interested in. Our research team is headed up by Mark Dampier, who's regarded as one of the very best in the profession. 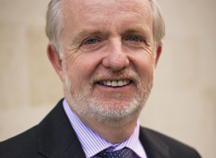 Mark began his career in financial services in 1983 and joined Hargreaves Lansdown in 1998. Mark contributes regularly to The Times and The Telegraph, and writes a weekly column in The Independent. Laith Khalaf has worked for Hargreaves Lansdown since 2001 when he graduated from Cambridge University. His research encompasses funds, markets and investment trends. Laith is a well-known commentator and frequently features on television and radio, as well as in the national press. Ben has worked at Hargreaves Lansdown since 2007. He has a first-class honours degree in Economics from Bristol University, and also holds the Certificate in Investments (Securities & Derivatives) from the Securities & Investments Institute. Ben is Senior Economist for Hargreaves Lansdown and also edits the Investment Times magazine. Danny has over 25 years' experience in personal finance and has been at Hargreaves Lansdown since 2001. Amongst his awards are the coveted Money Management Financial Planner of the Year and Financial Adviser SIPP Adviser of the Year awards. Sarah joined Hargreaves Lansdown in 2017, after fourteen years as a financial journalist, appearing regularly in print, on TV and on the radio. Her expertise includes savings and personal finances. She is also a passionate advocate for empowering women to take control of their financial lives. Tom is Hargreaves Lansdown’s lead commentator on pensions and retirement planning, as well as being responsible for savings and regulatory policy issues. He has 30 years’ experience working in financial services, specialising primarily in retirement planning and is one of the UK’s foremost financial commentators. Tom is also a Governor of the independent charity the Pensions Policy Institute. Chris Worle is the mind behind the last six years of digital transformation and innovation at Hargreaves Lansdown - driving both the digital marketing effort and digital strategy of the business since 2010. His hands-on, in-depth knowledge of digital marketing is coupled with the experience of turning this FTSE 100 company into a business which is truly digitally focused. Today, hl.co.uk attracts more than 90 million visits annually and facilitates more than £23billion of transactions. Nathan is a specialist in workplace pensions, savings and employee benefits. He joined Hargreaves Lansdown in 2003 and has worked in several areas of the business including as a financial adviser to individuals, and as a pension and benefits consultant to employers across the UK.